Thanks to its standard power sliding doors, Bluetooth and USB port at a price around $32,000, we think the Quest SV is the best choice for buyers who decide they want a Nissan. 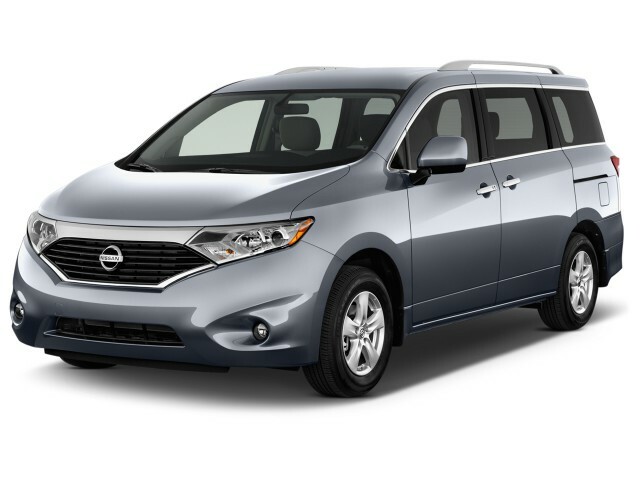 The 2014 Nissan Quest is a family-oriented minivan; yet perplexingly, it's not at its best in safety ratings or seating versatility, both items that matter for minivan shoppers. 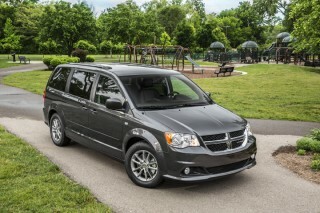 But compared to peers like the Honda Odyssey, Toyota Sienna, and Chrysler minivans, the Quest has a driving experience that's more eager. Depending on your expectations, you might find the design a little more adventurous, too. With an upright stance and lots of flared lines in front, the Quest's straight-edged passenger box bears more than a passing resemblance to the Ford Flex, mostly at its pillarless greenhouse and its almost vertical tail. The interior is more formal and less risky, with woodgrain trim on a plain dash that stacks some controls in unintuitive places. The audio knobs and switches, for examples, are grouped into two locations, some to the right of the shifter, halfway out of sight. The Quest looks distinctive, with a glassy greenhouse resembling one of our favorite crossovers. 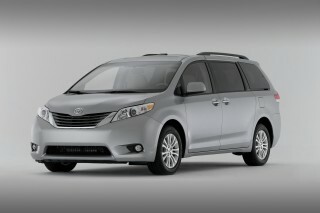 Looking back to the Nissan Quest of the 1990s and 2000s, this current model minivan may or may not surprise you. Each generation of the van has had distinctive styling, keeping its design fresh in comparison to–and totally different from–the models that have preceded it. Prior to the current version of the Quest, it was a quirky and swoopy-looking family hauler that broke new ground for the segment, for better and for worse. The Quest now leans on its Japanese-market van roots, standing more upright and boxy than ever before. It has a faint resemblance to the Ford Flex from its profile, giving it some small amount of hip appeal, especially by comparison to some of its more curvaceous competitors. The nose looks lower and smaller, thanks in part to its large air inlets. The rear ends abruptly and harshly, intended for better aerodynamics, and large taillights will make this one easier to tell apart from other vans in the dark. Inside, the Quest's interior keeps more to the standard minivan passenger-friendly and utilitarian themes, though it feels almost modern-retro Japanese with its plain-looking LCD displays and stacking of rectangles. There's a mix of wood and shiny gray plastic trim pieces throughout the interior, making the Quest feels a little upscale at times, and a little unfinished at others. The transmission lever lines up vertically on the center stack, and it blocks the driver's view of some knobs and buttons. The Quest has a strong V-6 and good steering, but we'd swap out its CVT if we could. 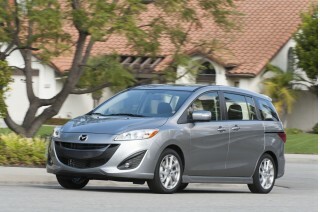 The Quest is fun to drive as far as minivans go. 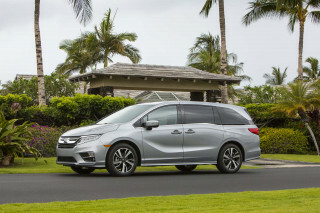 It feels smaller on the road than most other minivans, and it's steering is better, too–and even the CVT transmission works well for the task of hauling family and cargo. The Quest is powered by Nissan's 3.5-liter V-6, which produces 260 horsepower and 240 pound-feet of torque. It's a little smoother and little quieter than most of the cars in the lineup with the same engine, though the new Altima does it even better than the Quest. 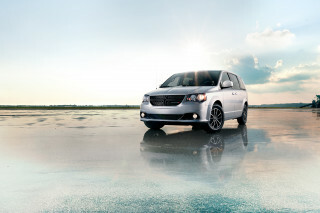 Even so, the minivan never feels strained for power. The Quest has a fold-flat seating system, but it's not tucked away efficiently--and that robs interior space. Since the Quest is now built in Japan, rather than Mississippi, it's lost some of its flip-and-fold big-van flexibility in favor of better comfort for its passengers. With a low rating in the roof-crush crash test, the Quest doesn't earn safety scores as high as its competition. The Quest lacks some of the newest safety technologies found in a few of its competitors, and it hasn't yet been rated by the agencies that crash-test cars for 2014. The Insurance Institute for Highway Safety (IIHS) tested the 2013 Quest under its new regimen, which includes a roof-crush score. The Quest does well in front-impact and side-impact tests, but in the roof-strength test, it earns an "acceptable" rating--the lowest in the segment, aside from the outgoing Kia Sedona. That score prevents the Quest from earning the IIHS' Top Safety Pick designation, a key for a vehicle in such a safety-conscious segment. You'll have to spend more than $30,000 on a Quest to get the features we'd require. 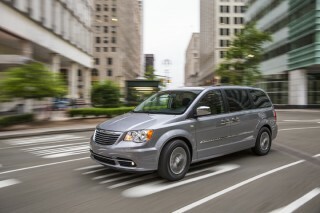 The Quest does come relatively well-equipped for the segment, though it certainly wouldn't be considered the innovator for features in minivans today–that title goes to the Chrysler products, followed by the Toyota Sienna. There are many options to choose for the Quest, but like the other Japanese minivans in the segment, those features can come at a price. The Quest SV is the most popular model and our recommendation, since it bundles the most convenient features at the lowest price. From the low $30,000s, this model has standard Bluetooth; a USB port; power sliding side doors; a rearview camera; automatic climate control; and a 4.3-inch LCD audio display. The audio system deserves some study before you buy: it's split into two locations, with some controls clustered under the LCD screen, and the rest tucked away near the gear selector. It can be confusing to scroll through audio functions up top, and to select radio presets and volume levels below. The combination of a CVT and a powerful six-cylinder nets the Quest good, but not stellar, fuel-economy figures. The EPA rates the 2014 Nissan Quest at 19 mpg city, 25 mpg highway. 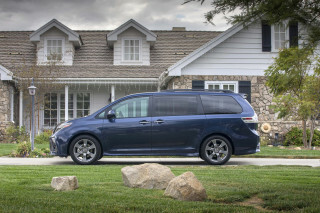 That puts it more or less on par with the other minivans in the segment, especially since the Toyota Sienna no longer has a four-cylinder option. No hybrid or diesel editions of the Quest are currently planned. The Quest rings in about average for highway fuel economy, though there are some vehicles in the segment that do much better. 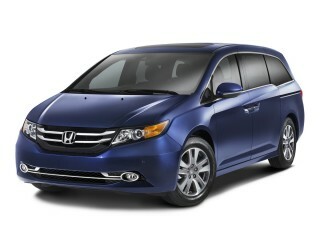 The Honda Odyssey earns 28 mpg on the highway in its most expensive, six-speed-automatic version; Chrysler's minivans get 25 mpg highway. However, for city mileage, the Quest is a leader. Its 19 miles per gallon on the city cycle equals the Sienna and the Odyssey, while Chrysler's minivans check in significantly lower.